If you want to know how to learn Italian fast and free, here you have many ways of improving your Italian. We are providing you the best Italian resources dividing them by categories. – Duolingo, that is a free resource that allows you to improve your language day by day using an app or your pc. The exercises are really well designed even though you have not a direct and personal contact with the teacher for practicing the language. – The Italian Verbs, that is a good instrument to check, know or verify the right conjugation of the Italian Verbs. – About, the offers different materials about History & Culture, Pronunciation & Conversation, Vocabulary and Grammar. – Italian Virtual School, that provides Skype Italian Classes with mother tongue teachers highly qualified. – Wordreference is a very good auxilium to know which is the right Italian word corresponding to the English one. In addition and in case of doubts, you find a large number of comments by the speakers. Treccani.it. Treccani is in Italy what for US is the Merriam Webster Dictionary. It is a great resource. It is good for those that already have a good knowledge of the language as the words’ descriptions are in Italian. Another interesting resources is the Italian English Visual Dictionary, showed in the picture here aside. – Many books in the Italian language can be heard for free on Radio3 in the Ad Ata Voce section. In particular you can hear: Le Conversazioni in Sicilia by Elio Vittorini, Una Vita Violenta by Pier Paolo Pasolini and I Racconti by Raymond Carver. – The Grammar Lessons by the Professor Giuseppe Patota. They are in Italian, very clear and very well designed. – The Italian Virtual School Italian Video Course for Beginners. It is specifically addressed to those want to start to study Italian and want to have a general introductory idea about the language. – I love Italian Movies, where you find the Italian movies available on Netflix. – La Pimpa, an Italian Cult comic strip created by Altan a famous comic writer. – Italian Stories in HD for children with Italian subtitles. It a series of cartoons specifically designed to learn Italian. 1. Amabili Testi, in which the writer Edoardo Albinati visits significant characters in the Italian cultural scene to talk about the books they read. 2. Quante storie, a program conducted by Corrado Augias, who is a journalist and a writer (81 years old but looks like 65), about current affairs and cultural issues. He is a very good journalist. – PODCAST from RADIO RAI, where RAI is the main Italian broadcaster. You find all the Radio Program podcasts available. In case of doubt or suggestions about the program to chose, write us! – A wide list of Italian Podcasts is avaialable here: Audiocast.it, The Italian Podcast. – Il Post, who’s speciality is the fact of using a very clear language. If you want to understand more about Italy having a clear idea of the facts, this is the online paper good for you. – Internazionale instead is a magazine. It is published each Thursday by digital edition and on Friday by print edition. Its goal is collecting the most interesting articles published all over the world and then translating them to Italian. – Repubblica, the first Italian newspaper. – Left, a magazine, also available online, with a critical and interesting view about our reality. 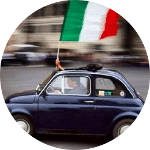 – Italy Magazine, that is a nice magazine dedicated to the Italian Culture. 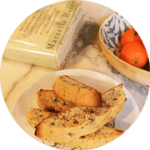 You can find articles about the language, the food, the travels to Italy etc. 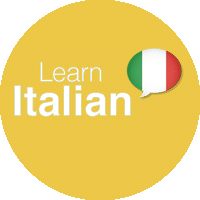 Finally, the best way of learning Italian is for sure combining all the resources here mentioned and and finding your own way to learn Italian. What we suggest is choosing a good teacher that will be able to guide you during your learning process.